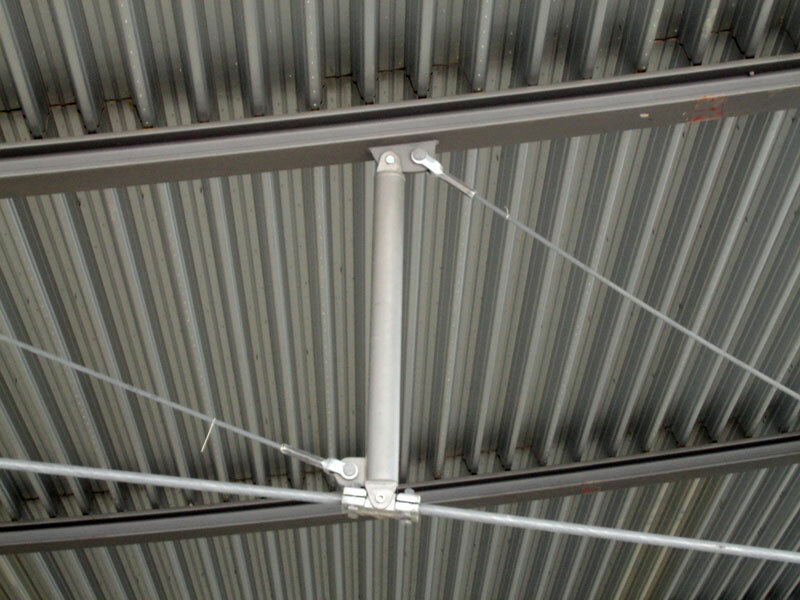 For cable trusses various angles between diagonal ropes and the upper/lower chord cable are typically demanding different clamping details, some becoming quite large and unaesthetic because of sharp angles. 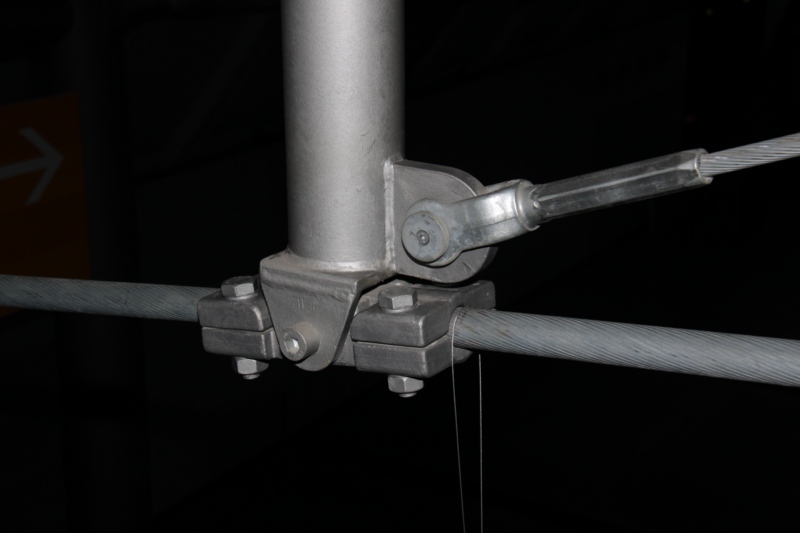 Therefore, a new type of cable-truss clamp with a hinged connection between cable and post was developed and tested. 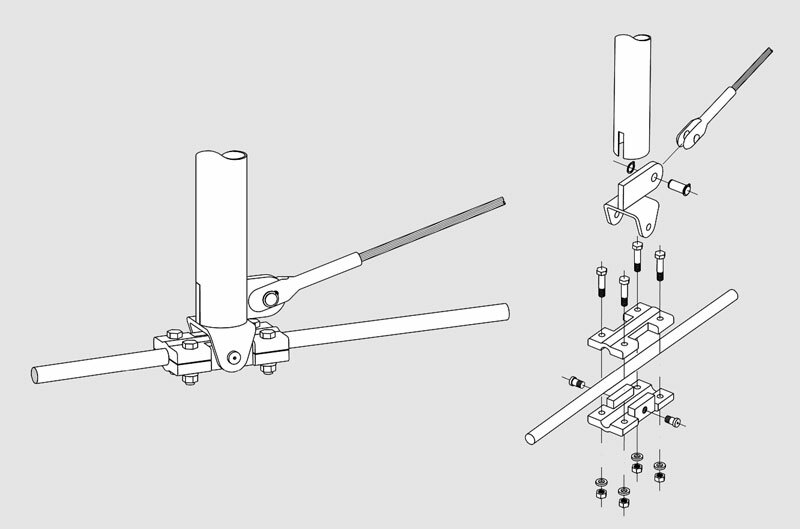 This clamp can be applied universally to all connections of the cable truss. 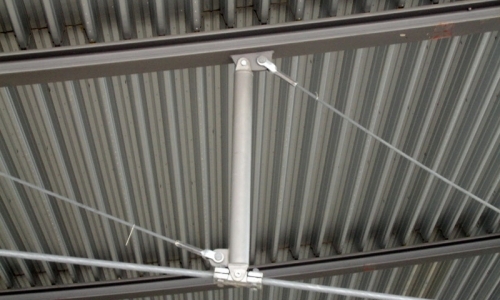 This is one example of innovative structural design carried out for the New Trade Fair Exhibition Halls in Stuttgart. For more information please see PDF.